Obituary for DeWayne H. Rohrback | Lynch-Green Funeral Home, Inc.
DeWayne H. Rohrback, 91, of 785 Johnsonburg Road and formerly of 107 Poplar Road, died on Monday, Aug. 20, 2018 at Elk Haven Nursing Home following a brief illness. He was born on Nov. 20, 1926 in Ridgway, a son of the late Vincent Rohrback and Martha Heiberger Rohrback. On July 27, 1951, he married Corrine B. Detsch who preceded him in death on Dec. 26, 1996. DeWayne was a carpenter by trade and retired from the Carpenter's Union. He was a proud veteran of the Seabees of the United States Navy. He greatly enjoyed riding motorcycles and used to race them professionally. 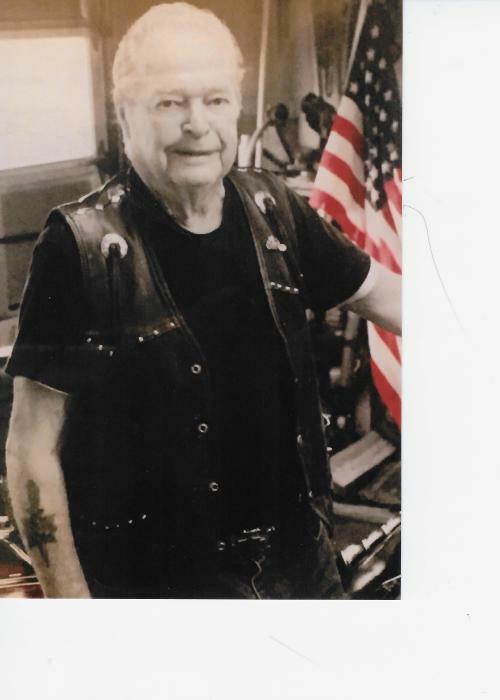 He was the founding member of Saddle Pals, a motorcycle club, as well as a member of Abate and the American Motorcycle Association. His hobbies included gardening and woodworking. He was a member of the American Legion, Eagles, Moose and a lifetime member of the VFW. He also enjoyed hunting and fishing and greatly enjoyed going to camp. He is survived by a daughter, Judy (Edwin) Abrahamson of St. Marys; and by two sons, DeWayne F. Rohrback and Timothy (Julie) Rohrback both of St. Marys; as well as a daughter-in-law, Gail Rohrback. He is also survived by eleven grandchildren and twelve great-grandchildren. He is also survived by a half- brother, Lyle Bish, and a step-brother, James Bish, both of St. Marys. In addition to his parents and spouse, he was preceded in death by his half-brother Victor Bish; a sister, Betty Fiedler; a step-sister, Florence Fleming; and by a nephew, Bob Schreiber. Visitation will be held on Thursday, Aug. 23, 2018 from 5 to 8 p.m. at the Lynch-Green Funeral Home. A Mass of Christian Burial with a motorcycle tribute for DeWayne H. Rohrback will be celebrated on Saturday, Sept. 8, 2018 at 10 a.m. at Queen of the World Church, 134 Queens Road, St. Marys, PA 15857 with Fr. Jeffery Noble, Pastor, as celebrant. Interment will be in the St. Marys Catholic Cemetery. In lieu of flowers, memorial contributions may be made to the St. Marys Servicemen's Burial Detail. Lynch-Green Funeral Home, 151 N. Michael Street, St. Marys, PA 15857 is handling the arrangements and condolences may be made to the family at www.lynchgreenfuneralhome.com.